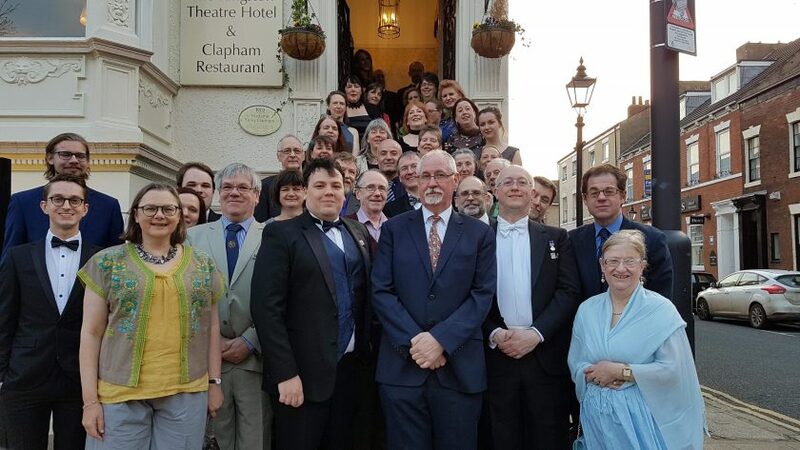 Springmoot 2019 will be held at the Ambassadors Bloomsbury Hotel in London from Friday 5th until Sunday 7th April, with The Tolkien Society AGM and Annual Dinner on Saturday 6th April. Springmoot is held each April on the weekend of The Tolkien Society’s Annual General Meeting. This year, it returns to London for the first time time since 1979. The location and venue were chosen to commemorate the fiftieth anniversary of The Tolkien Society, which held its first meeting on 17 December 1969 at the flat of Vera Chapman (Belladonna Took) in Harrington House on Stanhope Street, a short distance from the hotel. The weekend will begin with an innmoot in the Boot Room at The Iron Duke (11 Avery Row, Mayfair, London W1K 4AN) from 19:00 until 23:00. Food is available at the pub until 21:00. The AGM itself will start at 15:00 on the Saturday afternoon, and may only be attended by members of The Tolkien Society. The semi-formal Annual Dinner will be held later that evening at 19:30. In honour of the Society’s fiftieth anniversary, the after-dinner speech will involve a selection of our members talking about their history of the Society, and what it means to them—we want this to be a celebration of the Society’s history and its people. The hotel is conveniently located near Euston, King’s Cross and St Pancras railway stations.